Perfect for those small items, and for keeping postage shipping costs down. 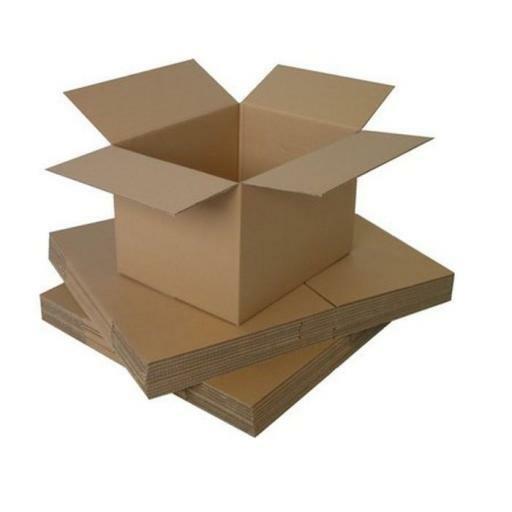 These lightweight single wall cardboard boxes come in a range of sizes and can be used for storage, packaging and transportation.Our cardboard boxes are used across all sorts of businesses. Medium Size 'Low Depth' Single Wall Packing Cardboard Boxes 18x12x7". Gives a very snug fit for small-medium items with a medium height/depth, and a good size for warehouse/ dispatch use Flat packed for storage convienece.